Long before the music experts called him a prodigy that redefined the music business’s boundaries, Chanelor Bennett was just another kid from Chicago trying to make it in the rap scene. If you’re still wondering what made him to scale the upper ranks of rap – without a recording label – it’s his natural instinct for creativity. So, what did he do for the music industry exactly and what can we learn from him about the creative process? Who Is Chance The Rapper And Why Is He So Important For The Music Industry? For Chance, everything began in West Chatham, in the South Side of Chicago. As far back as kindergarten, he was a dancer who impersonated Michael Jackson. He realized that rap was his calling in fourth grade, when he wrote a book of poems that he likened to actual raps for a project for Young Chicago Authors. However, his actual grand debut was when he was suspended for marijuana-related activities while in high school. He used the suspension to record his first mixtape called 10 Day, which was awarded by many blogs and underground publications in April 2012. Only two short months after that, Chance appeared on Childish Gambino’s mixtape Royalty, on the track They Don’t Like Me. His breakthrough came with his first album, Acid Rap, in April 2013. It went unofficially platinum on a streaming site DatPiff, where it earned 1.3 million downloads so far. Chance established himself as an artist who operated outside of the mainstream system, all on his own. That year, he took meetings with many labels, but decided to maintain his artistic independence while exploring the limits of a label-less career. As many fans expected a major label, he instead worked with trumpeter Donnie Trumpet and a group of musicians call The Social Experiment on his other mixtape called Surf. Released once more as a free download, it was an organic, jazzy, soulful album that included guests such as J. Cole, Erykah Badu and Busta Rhymes. In 2016, Chance collaborated with one of his childhood heroes, Kanye West, on tracks for his album The Life of Pablo (songs were Ultralight Beam, Famous and Father Stretch my Hands Pt. 1). He also attended the White House to meet Barack Obama to discuss the My Brother’s Keeper Challenge, a project dedicated to creating equal opportunities for young people. In May 2016, he dropped his third free mixtape called Coloring Book, with guests such as Kanye West, Lil Wayne, 2 Chainz, T-Pain and Justin Bieber. His single No Problem was an instant hit, and the album became the first ever to chart on the Billboard 200 just from streaming, receiving 57.4 million on its first week. In 2017, Chance was the first artist without a recording label that won not one, but three Grammy awards! One of the nominations was the Best Rap Album, and he became the first streaming-only album to ever receive a Grammy nomination. Chance the Rapper is not only making history as an independent artist, but by doing so, he is challenging the current music industry paradigm and traditional way of how artists typically make it in the music business. He became a huge name in hip-hop industry without having sold a single record, putting out physical releases and any label support. 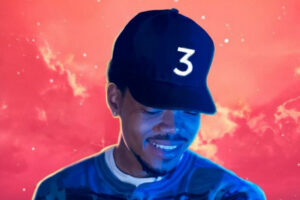 What Can We Learn From Chance The Rapper About Creative Processes? Everything Chance the Rapper achieved so far-and let’s be honest, that’s a lot- he did it thanks to his creativity. Making good music is obviously why Chance is so popular, but his talent is not the primary factor to making it in the music business. How many great singers do you know? Quite a few, we suppose. But how many of them made it in the music industry? When it comes to creative processes – there are no talented people for creativity. Creativity is something that can be learned, developed and nurtured over time and through practice, persistence and patience. At the end of the day, the only thing that’s important is the byproduct of the product itself and creativity. And creative processes can be harsh. If you want to be good at them, you must be self-aware and know if what you are making is good or not. You should be able to learn from the criticism. One of the most captivating qualities about Chance the Rapper is how genuine and true to himself he is. He is not afraid to be himself, and that’s exactly why he is successful. The great thing about creativity is that there’s a market and niche for every single industry in the world. If you’re a creative marketer that has a strong interest for fashion, go out there and be yourself. And once you start working on your first creative project, stay true to yourself and be authentic. Doing something that you love and something that you’re good at is a winning combination for any creative process. We know that working on creative processes means that you need your space and time, because you cannot force a creativity. But at certain points, it would be more productive and easier if you work with other creative people. Chance didn’t have any label support, but he did have right people in his corner from the beginning. Not only is Chance the Rapper an amazing artist, a role model for his peers and community, but he’s also an inspiration for anyone who works in the creative industry of any kind. So follow his example – always stay true to yourself and be persistent, create good things, listen to feedback and be ready to be a team player!